The Cessna 172 Skyhawk is a four-seat, single-engine, high-wing aircraft. First flown in 1955 and still in production, more Cessna 172s have been built than any other aircraft. The Cessna 172 is the most successful mass-produced light aircraft in history. In 1958 a Cessna 172, N9172B, flown by Robert Timm and John Cook was used to set the world record for flight endurance of sixty-four days, 22 hours, 19 minutes and 5 seconds; the record still stands today. Our Cessna 172 have been equipped with ADS-B In and Out, meeting the requirements of 2020. Measured by its longevity and popularity, the Cessna 172 is the most successful aircraft in history. 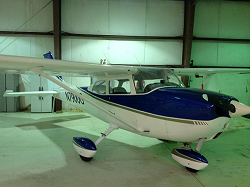 Cessna introduced a retractable landing gear version of the 172 in 1980 and named it the Cutlass 172RG. The Cutlass featured a variable-pitch, constant-speed propeller and a more powerful Lycoming O-360-F1A6 engine of 180 horsepower. The 172RG produced an optimal cruise speed of 140 knots. 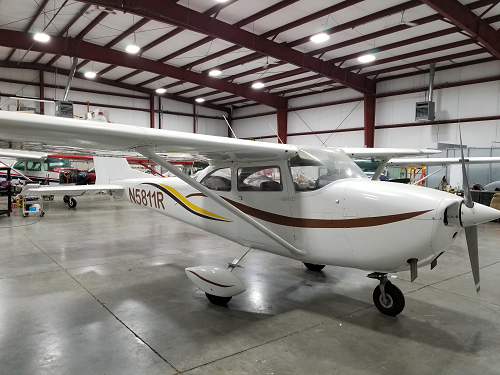 The 172RG was adopted by many flight schools since it met the specific requirements for "complex aircraft" experience necessary to obtain a Commercial Pilot certificate (the role for which it was intended), at relatively low cost. 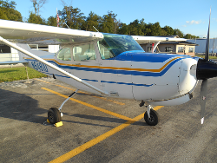 While numbered and marketed as a 172, the 172RG was actually certified on the Cessna 175 type certificate. The Aerotrek A240 aircraft are intended to work ideally under the new "Sport Pilot / Light Sport Aircraft" rules. With the S-LSA approval, they can be flown by existing Private and Recreational pilots (who are not required to maintain an FAA Medical Certificate to fly aircraft in the LSA category), but also by people holding the new "Sport Pilot" license. Like all our aircraft this plane has ADS-B in and out, meeting the requirements of 2020. Train like the "Big Boys" and enjoy the same level of safety as the airlines. You will save money while you receive advance level of training. 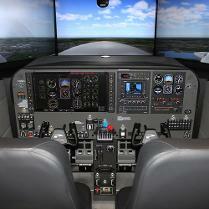 This advanced flight training device can be used for training from VFR to IFR flight in a multitude of aircraft, in most cases allowing you to fly your aircraft while you train. Learn how to handle real emergencies and what they look like, not just a soap dish covering an instrument or playing pretend. WAAS Enabled GPS allows you to fly real GPS Approaches. APPROVED FOR IFR CURRENCY / INSTRUMENT PROFICIENCY CHECKS!! !